If you look back to my (terrible) introductory post you may be able to decipher that as well as me earning my thru-hiker stripes in 2014, my parents have also earned theirs, circa 1980-1981 on what is now known as the American Discovery Trail – or ADT – which, unlike how the AT, PCT, and CDT run South-North (or vis-vers), runs West-East. My (older) brother had shown interest in a thru hike of his own about 13 years ago, between High School and College, he took a year off planning his thru…but it didn’t pan out. Then I went out and conquered, so his eyes have been opened again. Toby was my biggest nay-sayer, which of course (sibling rivalry at it’s best) just pushed me more to complete my thru hike. So his wheels finally started turning and this passed summer he told me that he was going to try one more time. He’s been in nearly constant contact with me asking questions and bouncing off ideas, and concerns. In August I got a text from him saying that he didn’t realize A Walk in the Woods (AWW) was coming out as a movie, and this changed things – the AT was going to be bursting at the seems with the same influx that the PCT saw after Wild came out. I squashed that excuse by telling him that AWW was not going to create much more of an influx, and if he was really worried about it, there were other trails, or he could hike an unconventional thru to have more of that “alone” feeling. 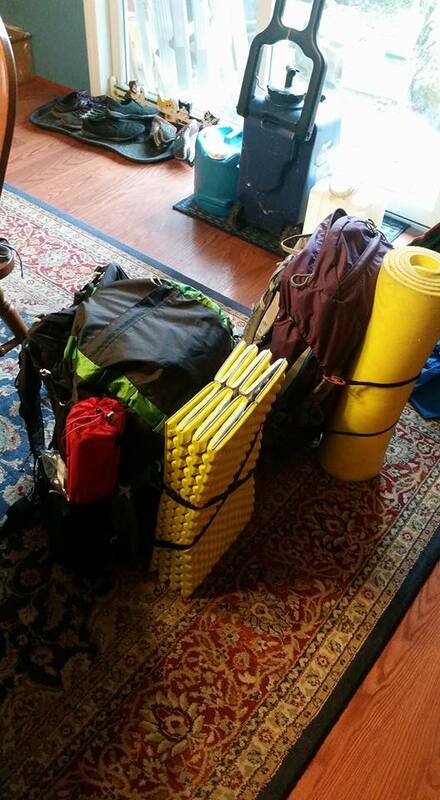 So he started toying with the idea of a PCT hike, and ordered guide books for both trails. 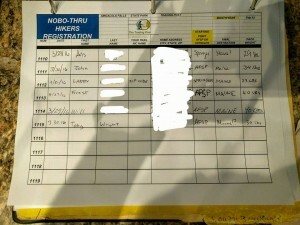 He updated all his gear throughout the fall and winter (and got his basweight down from 25-30lbs to 15-17lbs), but kept coming up with excuses as to why this year wasn’t the best year – even though his job situation was in limbo, he has enough money in savings, and he doesn’t have to worry about a storage unit or paying rent. I got a text just last week saying: “This season isn’t looking so good. Too much rain.” I guess we all handle that “first day of school” feeling differently. My mom says he’s been pouring over the guide book planning and replanning restocks, figuring out when he’ll be hiking through CT, if he should get a cowboy hat, if someone will notice that his trail wallet says “susie” (PLEASE SOMEONE CALL HIM COWBOY SUSIE IF YOU RUN INTO HIM), and otherwise just stressing himself out. They left Connecticut yesterday (March 28th) morning on their way down to Amicalola to once more do the Approach Trail (both my brother and mom went down with me 2 years ago and hike up the Approach Trail to see me off), but this time only my mom will be turning back towards the car! I’m a little upset that I can’t be there too, for many reasons, but I’ll take living in Oregon over Connecticut any day. At least he knows I’m cheering him on from the west coast. 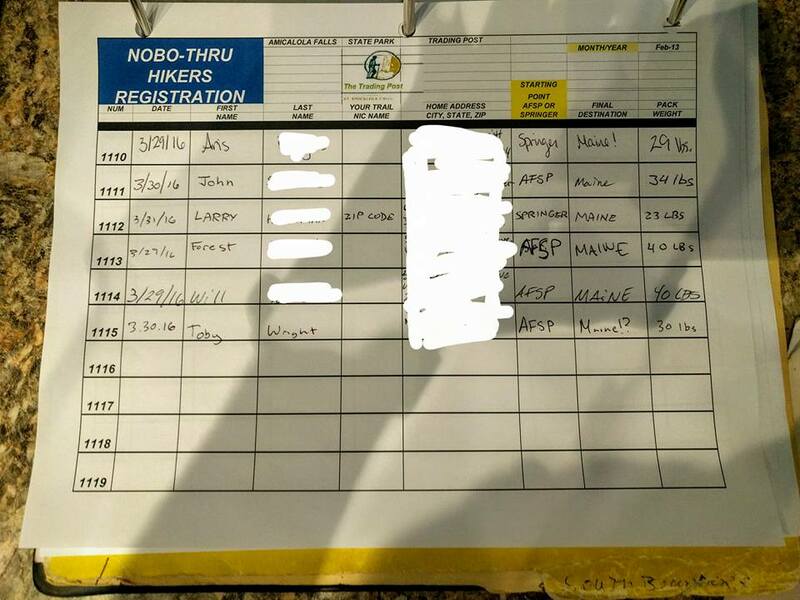 He signed in at the vistor center about an hour ago and will be setting off tomorrow. He’s got a wordpress of his own started and he’s planning on blogging throughout his entire journey, so feel free to follow it! Better late than never, but I realized I never told you guys whether or not he set off and finished! 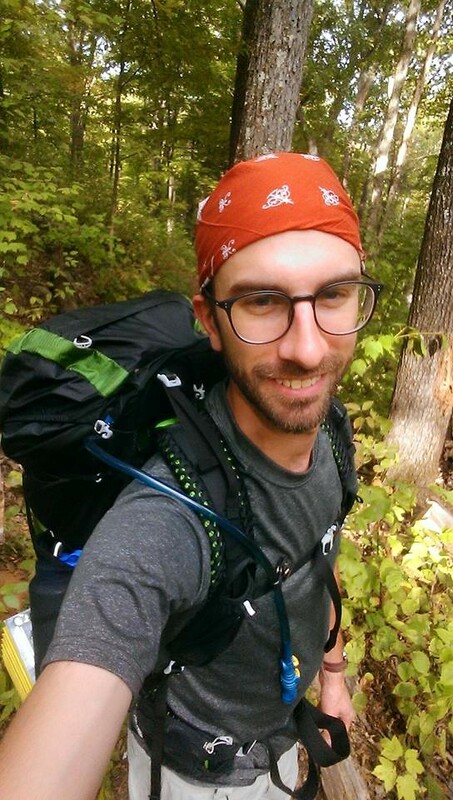 My brother – who gained the trail name UConn, after his alma mater the University of Connecticut – crushed the Appalachian Trail. He finished his Thru-Hike mid August. The day after he summited I got a text asking about when we’d be hiking the PCT. It’s still a far off possibility – and the calling of the PCT (which I haven’t ever been too thrilled about) has been getting louder the longer I’m out on the west coast – but maybe one day I’ll entertain the idea of hiking side by side with UConn for months on end.